I have a motion sensor spotlight that uses 4 D-size batteries. The motion sensor trips a lot — too much. I changed the batteries 2 times since I got the unit (about 3 months ago). To save costs, I’ve replaced the alkaline batteries with rechargeable NiMH batteries. D-size batteries are considerably larger than AA. It’s not just wider, but taller. 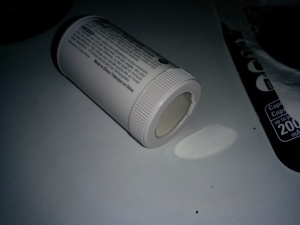 The insert compensates by having an extension contact at the top and a bottom spacer with another contact. The battery fits snuggly in its case. 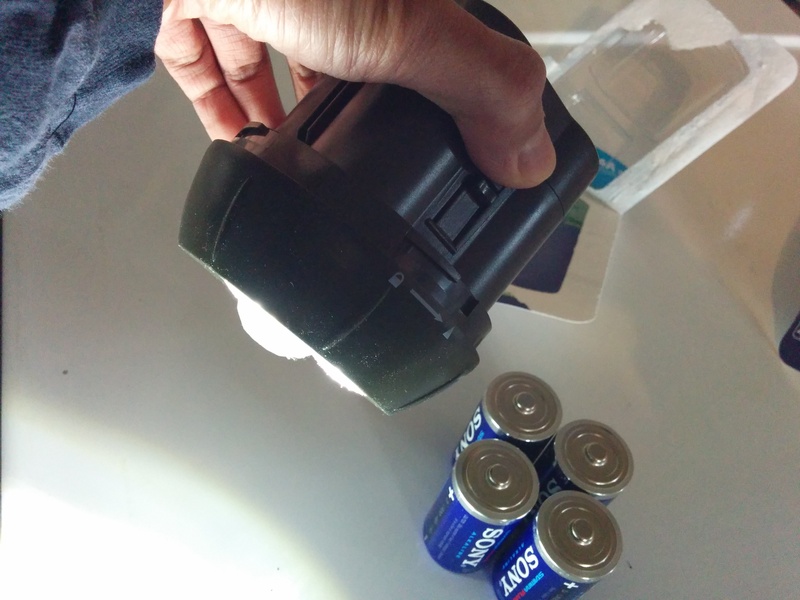 So far, the battery output is strong enough to power the sensor and the lights. Looks to be a win on this lifehack. 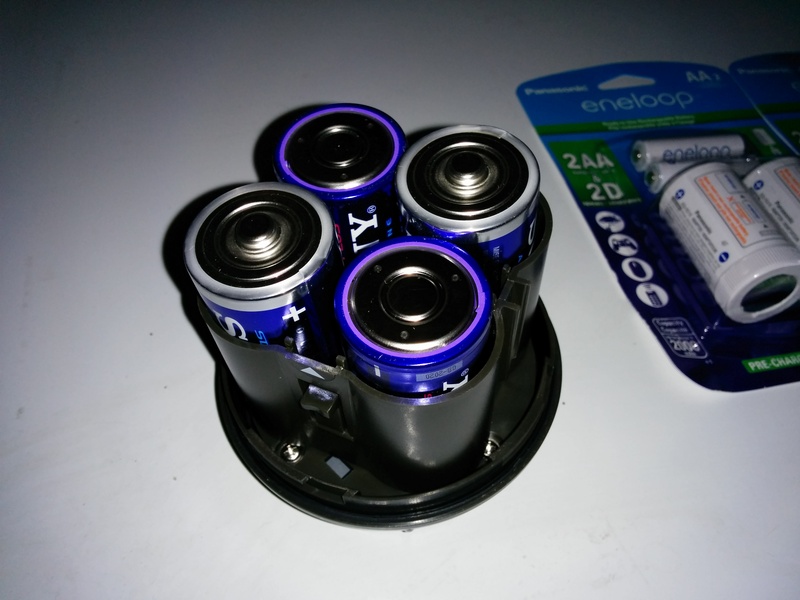 This entry was posted in Lifehack and tagged batteries, Eneloop, lifehack, save energy, save money on November 21, 2014 by eyedtentea. Hi there, I found your page by looking for pictures of the underside of the Eneloop D spacers. 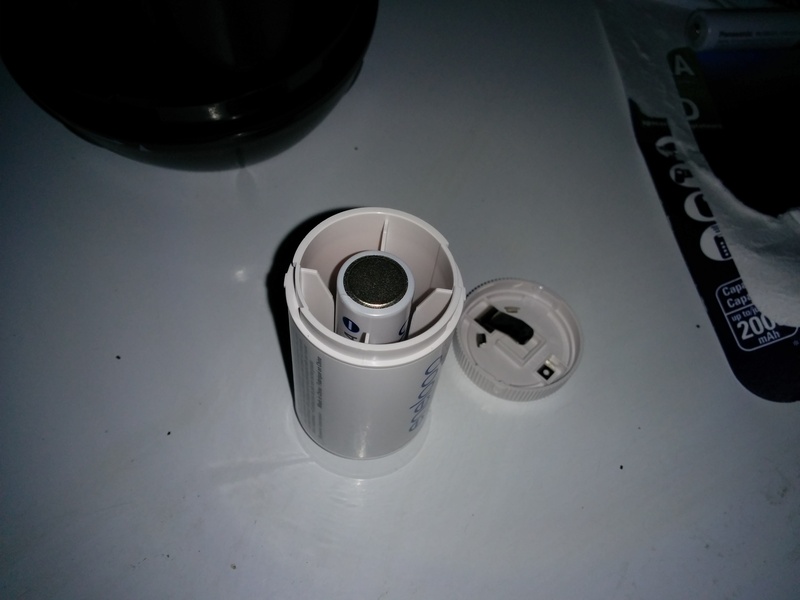 I have a MagLite that I was going to buy these adapters for but found out with a different brand of spacers that the spring on the battery compartment of the MagLite is too big and didn’t touch the underside of the AA battery. Thanks for posting. I realize it’s only been a week but how has your experience been with the spacers and your spotlight? 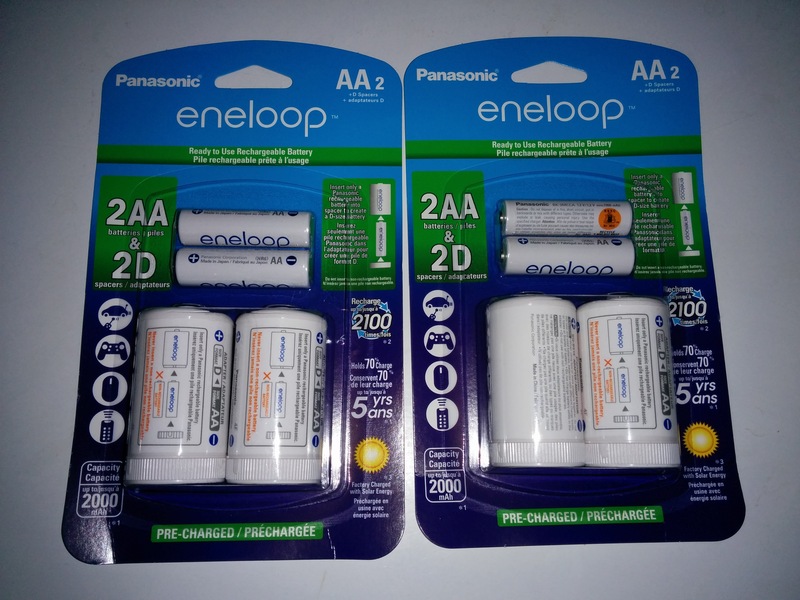 I noted that the AA batteries only contain 2000mAh as compared to D cells that are 10,000mAh, have you noticed quicker discharge rates with the AA Eneloops as compared to using D cells? If you’re looking for NiMH D cells, a company by the name of Tenergy sells them. I haven’t tried them myself and they do cost a pretty penny, but they get some decent reviews. They do discharge fast. 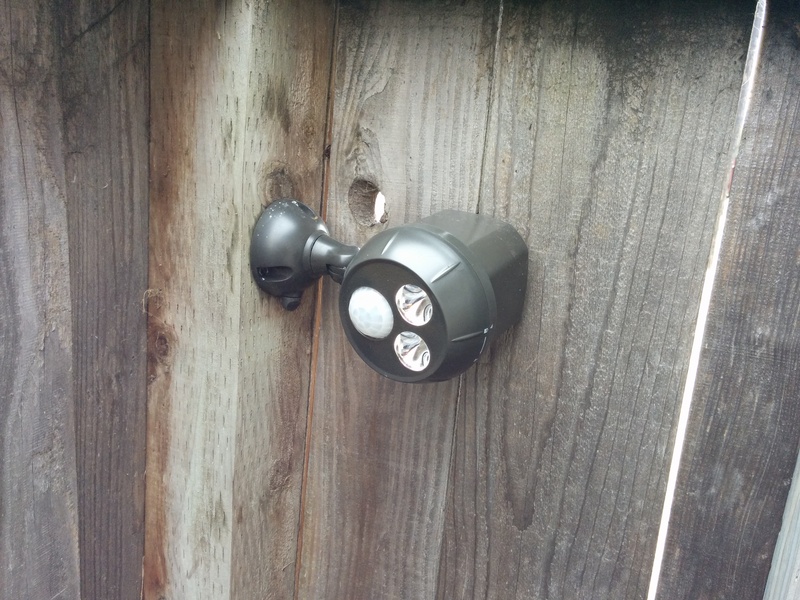 The particular motion activated spotlight only works at night. It’s current location is causing it to trip way too much. It lasted about two nights. 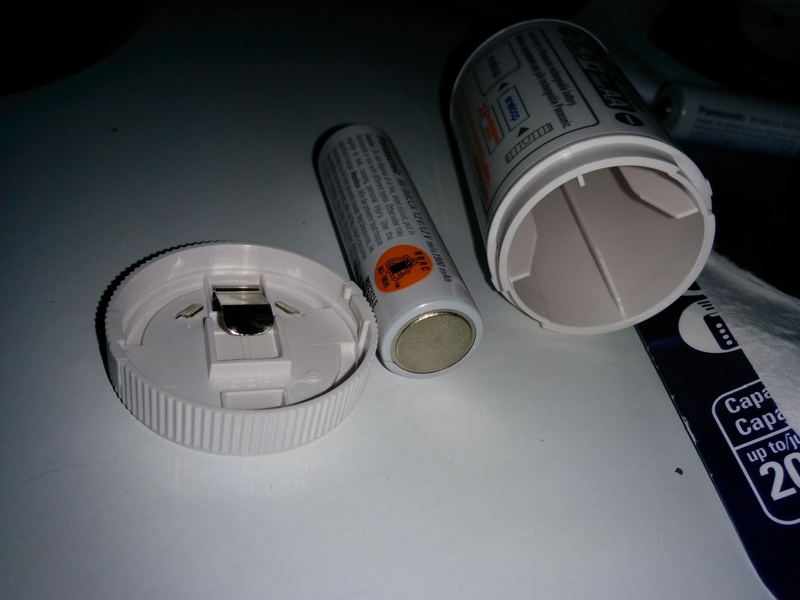 I swapped the batteries out with freshly charged ones. 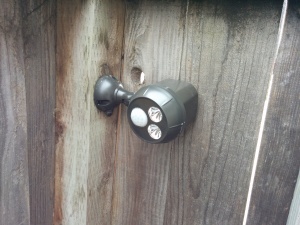 I also moved the spotlight, or rather swapped with another motion activated spotlight further down the fence. I’m hoping to get a week of battery life at this location — there’s very little to no movement at this area to cause this to trip at night. 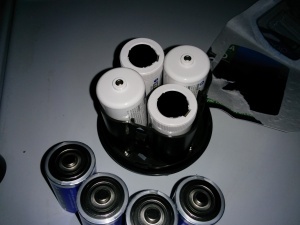 I’ll look into the Tenergy D batteries. If I go that route, I’ll need to buy a charger for it too. I need to factor that into the cost as well. Eneloop Pro batteries rate at 2450mAh. That’s another option. It’s kind of a catch. Even at 2450mAh for the Eneloop Pro’s, you’re still talking about 1/4 the amount of juice compared to a D cell and they can only be recharged up to 500 times. If you go with the 4th generation Eneloops, you can charge them up to 2100 times (so they say) but only get 2000mAh. You’d still be saving if you went either route though. Start-up cost on the D cells and charger, yeah, that’s going to be a good chunk of change for sure. I’m slowly making my conversion to the AA and AAA Eneloops but haven’t taken the dive on the D cells myself due to the cost. The only item that I have that takes D cells is my MagLite so I may go with the new inserts since they have the metal plate at the bottom unlike the ones I have now. Thanks for the reply. I hope everything works out with your spotlights. I’m using Eneloop AA’s w/C sleeves in a 2-C incandescent Maglite. I get about 2-3 hrs continuous run time before a noticeable drop in light output. I no longer buy alkalines because of possible leak damage.